Around the world to see the sights in one day – it is now possible. Shenzhen City in China has a great theme park called ""Window of the World" giving you this opportunity. Here you can see around 130 reproductions of some of the famous sights in the world. Along with these reproductions and models, there are rides and special night time entertainment to see. Window of the World is a theme park that is full of replicas of sites all over the world. All the continents are well represented in the 48 hectare or 118 acre park that features stunning replicas of the world’s greatest wonders, historical heritage, and famous scenic sites that are all in a scale ratio of about 1:15 more or less. It might be an educational opportunity to teach kids about the world&apos;s historic and important places. Window of the World (世界之窗) is part of a theme park area of Shenzhen with three other theme parks nearby. The Shenzhen government organized the building of a special tourist and theme park zone in the Nanshan area of Shenzhen (深圳市南山区华侨城). It is not a big park, but it can be enjoyed along with seeing some of the others parks. At night, there are special dance shows you can see. Hundreds of dancers perform on a large stage, and there is a procession and fireworks display at 9 pm. As you enter the park, the beautiful Eiffel Tower that is the emblem of France dominates the skyline. It can&apos;t be missed, but Europe has a lot more to offer such as Buckingham Palace, the Acropolis, and the Winter Palace in St. Petersburg. There are the Palace of Versailles, Notre Dame Cathedral, the Colosseum in Rome, the Trevi Fountain in Rome and the Leaning Tower of Pisa. But Europe is not all buildings; the majestic Matterhorn Mountain and the mysterious Stonehenge can also be admired. You can also experience relaxing windmills and the colorful tulips of Holland. Then you can walk on to America, Asia, Africa and Australia and watch special performances and entertainment. All the famous sights of America from East Coast to West Coast are also exhibited. You can walk from Manhattan in New York and the Statue of Liberty to totem poles of western America. You can ride rafts down the Grand Canyon. In the mysterious North African region, the Pyramids and the Sphinx can be seen. Do not forget to see the Safari Park before moving on to the Lighthouse of Alexandria. Asia is full of old beautiful historical sites. Take the time to see Ankor Wat, the Taj Mahal and Temple of the Emerald Buddha. Enjoy the famous Mount Fuji of Japan. Witness the Merlion in Singapore, and see the sights that Malaysia and Indonesia are famous for. The Window of the World is not all monuments and landscapes. The park also tries to make sure you can play some games along the way for a small fee. There is an Archery Field where the tourists can learn from the North American Indians how to use a bow. If that doesn’t appeal, take the cable car through the tropical forest or do something totally different and visit the Indoor Alpine Ski Run. Window of the World can offer their visitors 4,000 square meters or an acre of indoor ski slopes. An evening generally ends with a spectacular entertainment show with dance, music and lights as all the artists and performers pull together in one grand show. The show starts at 7:30 every night. 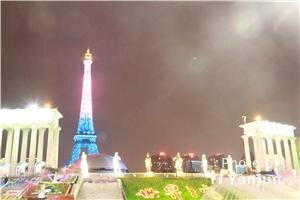 During the different festivals and holidays, the park puts on special events. They annually hold the Cherry Festival of Japan and the Indian Cultural Week. They also run special programs during school holidays in the summer, the Chinese National Day and Christmas. Events include a summer International Beer Festival, a Christmas Festival, a Pop Music Festival and a Chinese Spring Festival. If it all seems a bit overwhelming, pick up a map at the entrance to make sure you experience your favorite places. 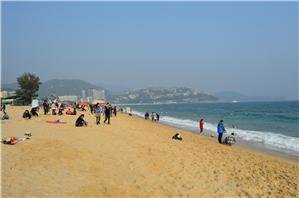 China Highlights can help you customize a tour to visit this sight and other highlights in Shenzhen. This theme park covers about 4,000 square meters, and is right next to three other theme parks in a special tourist and theme park area of Shenzhen. It is basically across the street from Splendid China and the Chinese Folk Culture Village, and it is about a kilometer or less than a mile away from Happy Valley that is a favorite for kids. Happy Valley is close enough to walk to from Window of the World. Transportation to Window of the World from Hong Kong, Guangzhou or other parts of Shenzhen is easy since there is a station of Metro Line 1 next to it. From Hong Kong, you can cross at the Luohu crossing and take Metro Line 1 from there. Get off at the Shijiezhichuang Station (世界之窗站 Window of the World Station). From Guangzhou, you can reach Window of the World in about 2.4 hours from the Guangzhou East Station or Guangzhou Main Station by taking the fast train to Luohu Station (1 hour and ten or 20 minutes, 75 or 80 RMB or about 10 USD) and then walking over to the Shenzhen Metro stop in the same station at Luohu and getting on the subway train. From Luohu, the journey to Shijiezhichuang Station takes about 45 minutes and costs about 5 RMB or about 80 cents. Hours: 9 am to 11:30 pm. Price: Adult 140 RMB or 21 USD. Some of the shows are extra. Time: Minimum half a day. Hire a small cart: you can drive on your own and explore the park.